We’ve put together the following Austrian Grand Prix Questions and Answers based on fan requests we’ve received over the last few years. If you have anything to add or have any further questions, please get in touch. Although parking is not available at the circuit, free parking is available at a short distance (10-15 minute walk) from the circuit near the S36. Buy the ticket online through the Austrian Grand Prix official website or via resellers such as BookF1. The nearest airport to the Red Bull Ring is Flughafen Hinterstoisser Airport, which is 6 km away. The larger airport is Thalerhof located 53 km away in Graz. There are two stations in close proximity to the Austrian Grand Prix circuit – Fohnsdorf (5km away) and Knittlefeld Station (8kms away). bottles. However, you cannot carry alcohol to the event. What hotels are near to Austrian Grand Prix circuit? There are over 200 hotels near Spielberg, Austria. Tip – Ensure you have the F1 tickets before you make the reservation! Does Austrian Grand Prix circuit have camping facilities? There are seven campsites near the Austrian Grand Prix circuit. See here: Red Bull Ring Accommodation The Pink and Orange campsites are near the North Grandstand, the Green, Purple, Yellow and Red campsites are located behind the Start Finish Grandstand, and the Blue campsite is closer to the Red Bull Grandstands. The campsite facilities are basic, and include toilets, shower, limited access to power, and BBQ. 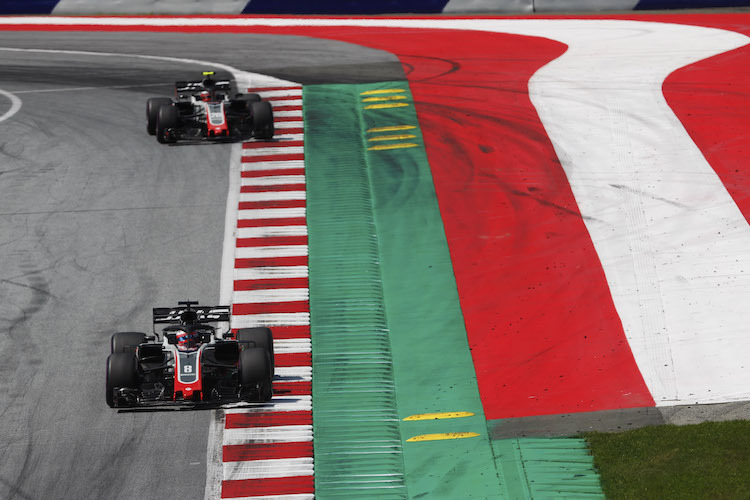 How long is the Austrian Grand Prix circuit? The Austrian Grand Prix track length is 4.326 km and the total race covers a distance of 307.02 km. What is the weather at Austrian Grand Prix circuit? The Austrian Grand Prix circuit is located amidst the Styrian mountains, which makes the weather conditions are unpredictable. The temperature is in the low 20’s. The Austrian currency is the Euro (€). What is the Postcode/zip code for Austrian Grand Prix circuit? What are the map coordinates for Austrian Grand Prix circuit?